See us at Southampton Sustainability Week! Hello! Sorry we’ve been so quiet. From the Itchen to Italy, it has been a busy year for REAPsystems. Keep reading to find out what we’ve been up to as well as exciting sponsorship opportunities. 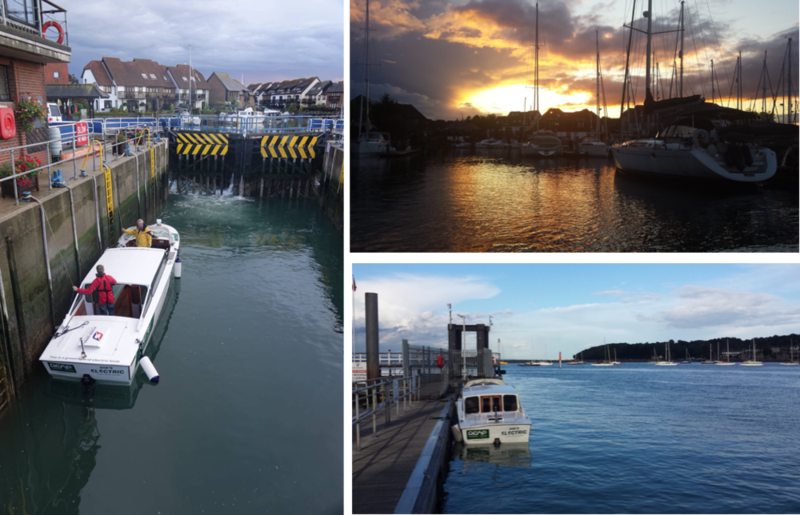 January 2017 saw us take the first steps in expanding our Hybrid fleet; the new challenge is converting a ferry in Falmouth, Cornwall UK, to hybrid electric. 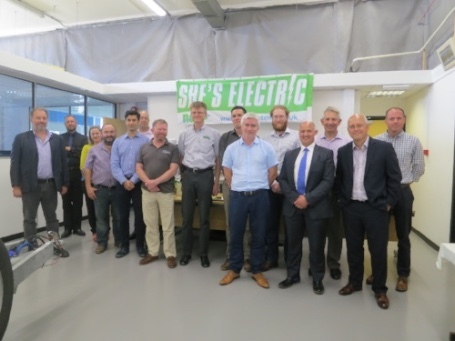 By May 2017 Cornwall Ferries Ltd. had got on board with the idea (excuse the pun) and joined the Hybrid Electric Vessel Integrated Motor Assist (‘HEVIMA’) Project. They volunteered their flagship Kingsley II to be converted to hybrid. She was built in Cornwall by Percy Mitchell in the 1940s and after refurbishment will find a new lease of life trialling green, reliable transport along a new route on the Falmouth River. The Kingsley II. The Park & Float ferries have covered over 95 000 miles between them! The Kingsley II. She might look a little tired now but watch this space! The Park & Float service has prevented 110,000 cars contributing to Falmouth's congestion and poor air quality during summer months, that’s more than 20 000 each year! This saves a huge 22 tonnes of carbon dioxide and 7 tonnes of carbon pollution. Installation of the REAPsystems drop-in hybrid engine will improve these figures even further, whilst also reducing noise, vibration and fuel consumption. During slower parts of the journey the ferry will run off electric. Crucially this will benefit areas around the busy coastal town and also upstream in important, environmentally sensitive, National Trust areas. There are several partners involved in the HEVIMA Project. These include Cornwall Ferries Ltd. (CFL), Babcock, Mainstay Marine, Lloyds Register, University of Southampton, Marine Southeast (MSE) and REAPsystems. With support from Innovate UK- the UK’s innovation agency and Dstl. Riverfest, Southampton UK, in May provided an opportunity to demonstrate our electric rib to the 4000 locals in attendance. People of all ages enjoyed rides on the River Itchen, without the fumes and noise of diesel we could still enjoy the music coming from the bankside fun! Dennis was invited to present the HEVIMA Project and hybrid boat propulsion system technology at Seawork International in June 2017. Seawork International is Europe’s largest commercial marine exhibition so we were thrilled to have the opportunity to present our work and ethos to other influential professionals. The agenda last year was ‘Can I reduce my vessel operating costs?’. Dennis’s expertise in maximising efficiency through hybrid propulsion allowed industry leaders to consider alternative approaches to vessel optimisation. 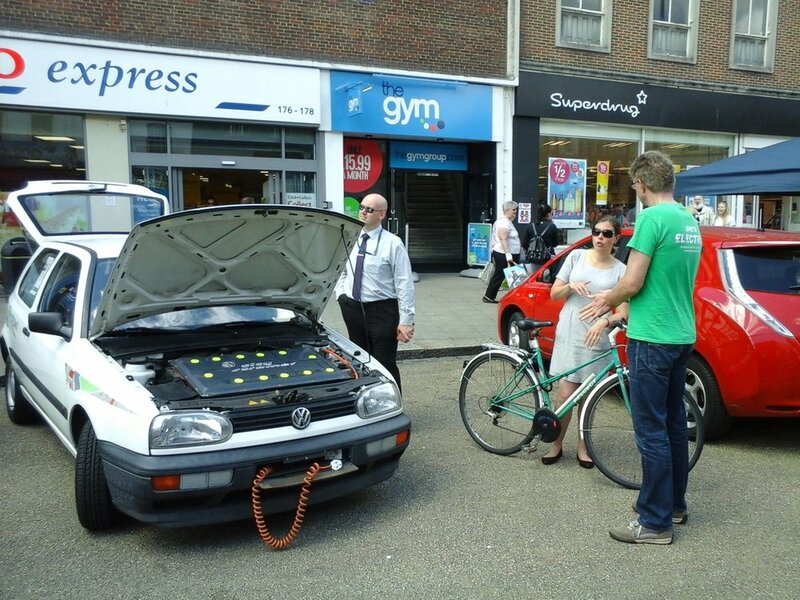 Just a few days later we were at National Clean Air Day in Southampton, UK chatting about the importance of tackling air pollution. We took the electric rib and our little electric VW along to help raise awareness and give people the opportunity to see an electric vehicle and learn more about them. Air pollution is a serious problem which impacts all of our health; it increases the risk of getting lung cancer, contributing to 1 in 13 cases. Simple ways you can reduce the amount of air pollution you create include walking where possible, switching your engine off when stationary and choosing electric or hybrid options when upgrading your car (save yourself some ££ on road tax too!). One step closer to Venice – first Taxi Boat trials as a functioning hybrid! By the end of June, the Venice Taxi Boat had its hybrid engine installed and fully functioning, it was time for trials! This was a really exciting day though unfortunately it turned out we needed to do a bit more tinkering! We didn’t let that perturb us as it’s all part of the process, but it was back to the workshop for now with more lessons to learn. Our first fully hybrid trials - bottoms up, heads down as we try work out a few issues! Throughout July and August we continued work trialling the Venice Taxi Boat, once we’d solved the final few problems we started demonstrations. A glimpse behind the scenes - meet our glamourous team of engineers working out the final few complications! What does this hybrid drop-in engine we’re always talking about actually look like? The green box on the left is the battery which powers the boat during slower parts of the journey, when a bit more speed is required the diesel engine on the right is used. This drop-in system is easily installed in a whole range of vessels, optimising their efficiency and eco-friendliness! The boat was soon ready thanks to our fantastic team and she was very busy for the rest of the year with plenty of trips and demonstrations. Check out our travels on the photos below! Navigating a few locks in Hythe and enjoying the beautiful sunset! Out and about in Southampton again, making the most of summer! We also went to the Southampton Boat Show, you could find us with our friends at Hyundai Seasall on their stand where we were giving out leaflets and chatting about our hybrid technology. We also got the chance to show off the Venice Taxi Boat when we picked up Sean Strevens, owner of Cheetah Marine, from the Isle of Wight to arrive in style at the show. He loved it! 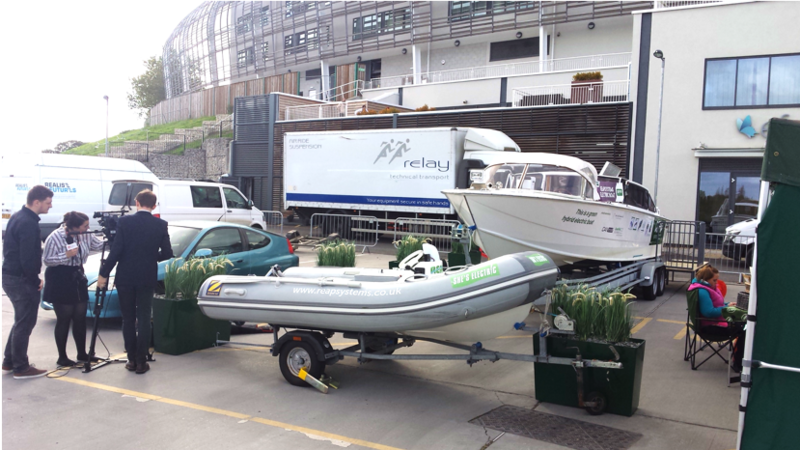 In October we were at the Hilton Ageas Bowl Convention Centre in Southampton, UK displaying our Hybrid Venice Taxi Boat and the electric rib for The Big Green Event Expo. The Expo brings together hundreds of exhibits to help businesses improve environmental and facilities management and increase awareness of changing customer attitudes. Solent Journalism covered our attendance writing an article about Project Venice, the link is below if you’re interested! Press coverage of the Hybrid Venice Taxi Boat at The Big Green Event in Southampton. Demonstrations to our Italian friends from Venice! The 20th September was an important day for us as we were demonstrating the Hybrid Venice Taxi Boat to our contacts in Venice. He might not have been too impressed with the weather here in Southampton, UK but that’s fine because he loved the boat! “This is the best hybrid system they have ever seen and tested - REAP must continue to develop and sell this system." We were so pleased by this response and now we have collaborated in developing plans to move the boat to Venice this summer. Once there it will be trialled as a fully operating taxi boat for a few months in the run up to PlugBoat 2018 and the Venice Film Festival. Please see our sponsorship link below if you’d be interested in making the most of this fantastic, unique advertising opportunity! Certosa Island. Our taxi boat will provide transport between the island and nearby Venice, which can be seen in the background on the left. Well, that’s a wrap on 2017! 2018 promises to be another dynamic and exciting year at REAPsystems with development of the next generation hybrid system already underway. This system will be installed aboard Kingsley II, parts for which are already starting to arrive! Out with the old and in with the new! Kingsley II’s new Hyundai Seasall engine, not a bad swap we’d say! The rest of the parts for the HEVIMA Project will continue to arrive over the coming months. The plan for now is an official launch event to show off the Kingsley II in all her restored glory in Falmouth, Cornwall UK this summer so keep an eye out for updates! Beautiful Falmouth, Cornwall UK. Location of the Kingsley II launch for the HEVIMA Project later this year. 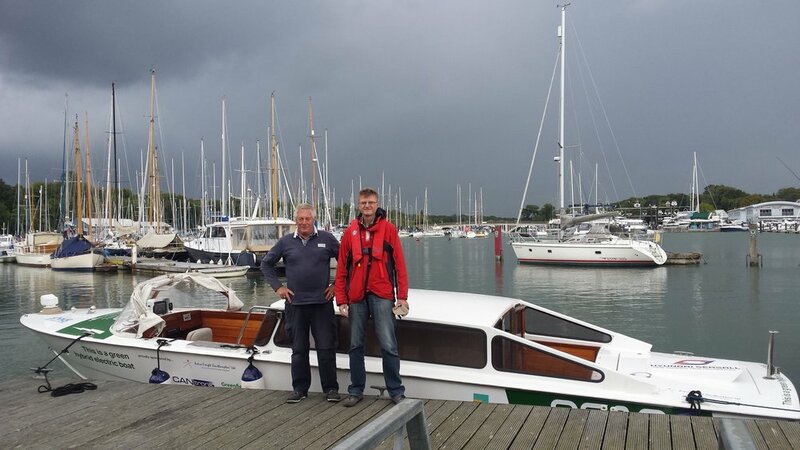 Further plans for the future involve updating the hybrid system and battery for the Venice Taxi Boat ready for more trials and demonstrations this summer in Southampton. Following those the boat will be shipped to Venice for more trials and demonstrations of the reliability of the drop-in hybrid system. Then, you’ll be able to find us showing off at the Venice Biennale and we’ll be shuttling participants for the next PlugBoat event (link below). We will also be at the NEXT GENERATION Marine Power & Propulsion Conference where Dennis has been invited to give a talk on designing and integrating diesel-battery-electric solutions for commercial craft. The event focuses on viable energy solutions for vessels of all sizes and is taking place as the Grand Harbour, Southampton, UK on 18-19th April 2018. If you’re interested in attending or you’d like more information, please see the link below. Thank you for reading! We hope you enjoyed these updates and we love hearing from you all so if you’re particularly interested in any of our projects or wish to support them please let us know as we have lots of exciting opportunities. Data logging is important to optimise a hybrid drivetrain. It helps us understand how the boat is used and the data are then used to determine the best hybrid configuration and settings. This day we will verify the data logging by comparing the logs with our notes. A mixture of slow and fast runs. Fastest runs with up to 75% throttle as we are still running the engine in. Quick reflection after the test run. There are still necessary improvements to the ACR dash switch (automatic connection relay between the two 12V batteries), gearbox - lever delay and trim-up operation. Thanks to ITV for coming along. Challenging interview questions on board during test run indeed... The piece should be on air very soon – we will let you know! Thank you Patrick Byrne from Scorpion RIBs for partcipating in the report. Thanks to Keith again for supporting with the safety boat! Assembly of battery cell modules, which are based on REAPsystems' patented cell assembly technology. Here is one of the battery modules for the boat. The 1.5m long battery box has arrived – all in REAPsystems green branded colour. TV report from That's Solent is now on Youtube in case you missed it! We are welcoming TransDev as another bronze sponsor of ours. Limited spaces still available so don't miss out! A sister of our hybrid Venice water taxi – She's Electric – has recently received a lot interest from environmental groups e.g. Sparsholt college, Hampshire & Isle of Wight Wildlife Trust, The Green Blue and Miniport Ships Limited who want to utilise it for conservation purposes as well as support its commercialisation. She's Electric is a fully electric power boat RIB also launched by REAP back in 2013. It has an electric 15kW outboard and 3kW charger with high-end battery management system and can perform 1 hour run time at full power and lowest noise in class. We had a really nice afternoon offering boat rides for them to feel the experience. Along with inspirational talks from our founder, Dr Dennis Doerffel, She's Electric and our hybrid Venice water taxi will be on show as part of Southampton Sustainability Week this October. Electric Boat Trips 08.10.2016, 09.10.2016 & 15.10.2016: get on the She's Electric for a unique electric boat trip and learn about our to-be-hybrid Venice water taxi. * Due to lack of funding, we had to slow the project down and prioritise other customer projects so that we could earn the much needed funds to develop this X-generation hybrid propulsion. It means the deadline for showcasing this boat as a hybrid in Venice will slip towards spring – early summer next year. We will still keep testing and running the boat in the UK over the winter. Scorpion helped us work out the centre of gravity of the boat and data that allow us to calculate where the batteries should be installed in order to keep a good weight distribution. We installed the sea-water cooling circuit for the hybrid system. This was important in order to keep the gearbox in the outdrive cooled during diesel test runs even though the hybrid system is not installed yet. ContiTech and Transdev helped us check the electric motor belt tension and alignment. They confirmed it was fine. 23'' propeller has arrived (one day after our first test run). It has been mounted and was already used for our second test run. The steering wheel has now got our green branded label on it. Our current plan is to have another test run to the Solent this Thursday for further improvements and to validate the data loggers. In parallel, we will transform battery cells into battery modules and then battery modules into a battery. A week of inspiring and interactive events to make Southampton more sustainable is happening from 8th - 16th October. We will be offering unique hybrid boat trips by inviting people to get onboard. More information and how to book tickets will be available soon. We proudly announce that Greenfield Insurance and St Cross Electronics have become our sponsors for the project. There are still places available at www.reapsystems.co.uk/sponsorkit so why not promote your green ethos with our eco-friendly Venice water taxi? It is on the water! Special blog post covering our initial test run on 19.08.2016. As you can see in the photo we picked the day with the worst weather in the whole summer. Installation of fuel supply, return and fuel filter. 180 litres of fuel - syphoned into the boat from empty to full. Calibrating the fuel gauge. Fitting the sea water cooling outlet for hybrid system. Dashboard now completed with switches for horn, navigation lights, interior light, bilge pump, trailer override and some blanks for future upgrades. The propeller was not delivered on time. However our supplier was very helpful and managed to organise an interim replacement just in time. The replacement propeller has a pitch of 24'' instead of 23''. Another last-minute challenge: Fitting the quick release connection for the hybrid cooling system and routing the hoses in the tight space. Launching the boat at Southampton Dry Stack. Checking: low voltage electrical system, engine, transmission and hybrid module. First run on the water accompanied by a safety boat. Fortunately this wasn’t needed. Thank you to the press and our key supporters for coming along to the first unofficial test runs - despite the pouring rain. The secondary bilge pump hose slightly leaking. The secondary bilge water sensor is stuck in the “on” position. Minor adjustments to the hybrid module required in order to achieve long term reliability. We noticed a long delay before disengaging the gear from forward run to neutral, probably due to a problem with the fly-by-wire calibration. We hope you enjoyed this update. In the meantime, we have received our correct 23'' propeller. In the next blog post we can report on further test runs, results from data logging installation and progress with the hybrid module. Over the last few weeks we've been busy with preparing the boat and system installation. We've tried to capture every step of the progress to share with you now. Hope you enjoy it and continue supporting us on our journey! We tested the electric motor in the hybrid engine assembly and it spun correctly and as expected. In the photo below you can see the diesel engine with the hybrid module mounted in place. The circuit diagram for wiring the boat has now been completed and approved by our Chief Technical Officer. The exhaust pipe has been modified to suit the new engine set-up. We routed the fuel feed and return lines through the boat and into the engine bay. The steering system has been filled with hydraulic fluid and bled. This is now working correctly. We moved the bilge pump into a slightly different position to make space for a suitable platform for the high voltage battery. In the photo you can see that this platform has been finished. The entire electrical installation is installed using high quality tinned cables and we make sure all cables and connections are labelled to ease future modifications and maintenance. 3 - Originally, the plan was to get the boat fully prepared to receive the engine installation. However, when we tried dropping the engine into the boat in order to check the engine alignment, we found that the stringers were not sufficiently high to support the engine in the right position. To solve this problem, we've made our own tool to figure out how much we have to raise the stringers. Our expert partner has then come along to assess the situation and suggested that with this type of boat we should strengthen and raise the stringers at the same time. As this is something we can't do ourselves, our partner offered to collect the boat and deliver to their premises. Then they also independently checked the engine alignment using the engine instead of our tool to make their own measurements. Based on theirs and ours, we have now agreed on how much the stringers would have to be raised. The modification is currently being carried out and we expect the boat to be back at our place early next week. The boat is now with our expert partner. We appointed a new project manager who together with the engineers reviewed the time plan based on the available information. Following this assessment we have determined that a more realistic (but still challenging!) target date for start of the in-water trials using the diesel engine only is the 10th of August. The first hybrid trials are expected to start on the 19th of September. The boat launch in Southampton is scheduled to take place on the 30th of September. Another task for this week is to work on the HSCU (Hybrid Module Control System) on both the hardware and the software sides. In the next blog post we hope to report that the boat is ready to be commissioned and launched for diesel testing. We've recently got support from XP Power who donated a DC/DC converter part for the boat. Thank you XP Power! We are offering unique Sponsorship Packages associated with the project. Please click here to see how your organisation can benefit. Saturday 14th May 2016 was our very first Open Day when we invited the public to come and chat with us about Project Venice as well as what we are doing. We were extremely happy to hear a lot of interesting questions being raised and answered such as why we choose to develop hybrid electric drive system but not purely electric one, why Venice but not UK is a perfect place to start, what the technical benefits as well as challenges of the solution are, what if we can't get enough funding through crowdfunding etc. In the picture are our taxi boat awaiting system installation, a fully electric RIB introduced by us in 2013 and Dr Dennis Doerffel - our founder and CTO - sharing our story from the early days in 2003 and what motivates us to embark on Project Venice. If you missed the chance to join this Open Day, there will definitely more to come or you can talk to us right now by messaging us on Facebook, tweet to us @reapsystems or emailing to info@reapsystems.co.uk. We'd love to hear from you! The Hyundai diesel engine (270 Hp, 3 liter V6 engine), sterndrive (Standard Mercruiser Bravo 3 model), inverter and control units has arrived at our premises. The diesel engine that we selected is a prime example of the innovative and high-tech engines in marine industry. We strongly believe that by exploiting this diesel engine in our hybrid system package we can offer a very efficient propulsion system. As for the Sterndrive, it is one of the most popular sterndrives in the market. It will soon to be mounted in the original Venice taxi boat. We use the Mercruiser Bravo 3 with dual propeller to minimise wandering and to optimise manoeuvrability. Now, more work for our engineers and production people! The taxi boat has arrived at our Centre of Excellence in Southampton ready for drive system design and installation!